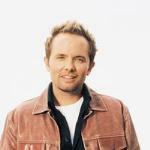 It’s timeless worship tunes like “Forever” and “Famous One” that have proven Chris Tomlin’s enduring talent as a worship songwriter, but he didn’t believe it when, after first hearing “We Fall Down,” a friend told him it would get worldwide attention. Turns out, that was just he beginning. Tomlin had been traveling and leading worship since he was 19, but it was in 1997, two years after he graduated from Texas A&M that he found himself at a camp with new friend Louie Giglio. Giglio would go on to start the Passion movement that would eventually give Chris and his songs a national platform, but that week he was teaching to a crowd of about 1,500 on Revelation chapter 4 while Chris helped out leading worship. As he listened to the nightly messages, something about the passage struck a chord with the young songwriter. Tomlin was so moved by that image that he found himself sitting on the edge of the bed in his hotel room, guitar in hand, composing a song. When he was finished, he took the tune that he calls “just a little simple song” to Giglio’s room for some instant feedback. While still skeptical, Tomlin obliged Giglio when he asked for a copy of the song to take back home with him. Little did he know, his friend’s prediction would come true sooner than he could imagine. It was at the first Passion event in Austin, Texas that same year that Tomlin got his first inkling of just how special “We Fall Down” was. Chris was leading a small community group at the event when he walked into the main gathering and heard a familiar melody on the piano.